You may be one of the osteoarthritis patients who looks for non-drug treatment options to help manage your osteoarthritis. Diet and exercise are at the forefront of ways to help control osteoarthritis symptoms. While neither diet nor exercise has been offered up as a cure, an appropriate regimen involving the two can be beneficial. Studies support an appropriate exercise program as part of multidisciplinary management of osteoarthritis. It's not uncommon for osteoarthritis patients to have deficiencies in gait, range of motion, strength, and flexibility—even endurance. The role of diet in osteoarthritis is less clear. As part of a multidisciplinary approach, a diet focusing on good nutrition and weight management is realistic. As an independent factor, the gains of a diet rich in antioxidants and vitamin D have been the focus of current research. Educating yourself about the role of diet and exercise and a consultation with your doctor is a positive approach. A nutritionist, personal trainer, or physical therapist can also help craft an individualized program that would maximize your benefit. Being overweight is bad for your joints. Osteoarthritis patients know this and wish there was a quick fix for shedding unwanted pounds. There's not. It all boils down to this bit of sound advice—eat right and eat less. It's that simple, and it works. There are contradictory reports about the effect of diet on osteoarthritis. Patients are typically interested in finding out what changes to their diet may increase or decrease osteoarthritis symptoms. Antioxidants are available in supplements and in plenty of healthy foods. A diet rich in antioxidants may ward off knee osteoarthritis. Regular exercise is a recommendation for better health, especially for middle-aged and older adults. Learn what happens when you don't exercise and then consider some of the following to get started. 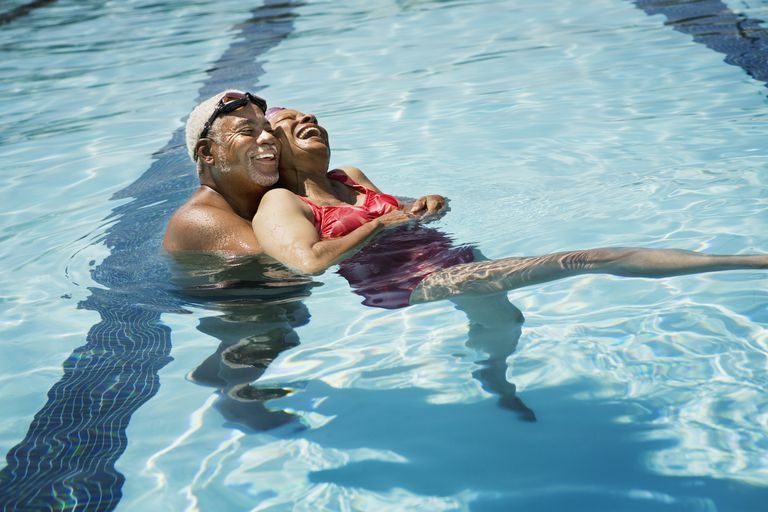 Water Exercise: Water exercise is usually performed in a therapeutic pool heated to 92 to 98 degrees and includes aerobic activities, stretching and strengthening, and range of motion exercises. Water exercise is also called pool therapy or hydrotherapy. Pilates: Pilates is a type of exercise that is not too aggressive for osteoarthritis patients. Pilates helps build a strong core, which helps soothe osteoarthritis pain. If pilates isn't quite for you, you can also try chair yoga. Bicycling: Low-impact exercise can be great for people with osteoarthritis, and bicycling is particularly good because it keeps your knees moving through their full range of motion while strengthening supporting muscles. Nonpharmacologic therapy of osteoarthritis. UpToDate. Kenneth C Kalunian, MD. Is SAM-e Effective for Treating Osteoarthritis? Osteoarthritis and Mortality: Is There an Increased Risk?